Here at Worldly Nomads HQ we’re very excited to share something completely new on the blog, our first ever guest photography feature! We are lucky to call Scotland our home, a beautiful country with an abundance of incredible natural landscapes. 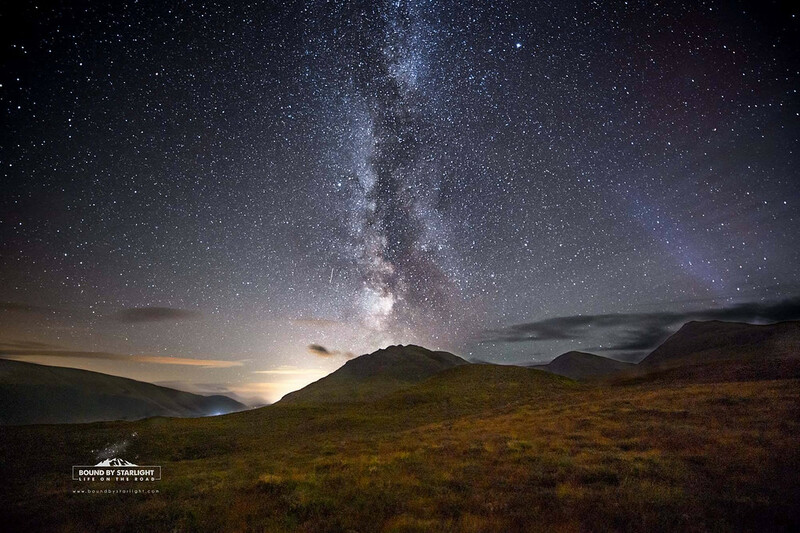 Capturing the night sky is a challenge, but thanks to our talented friend Stuart McIntyre, the man behind boundbystarlight.com, we’re delighted to share some beautiful images of the milky way and aurora borealis, set against Scotland’s dramatic landscape. So sit back, and enjoy this adventure through Scotland’s night sky, in Stuart’s own words. 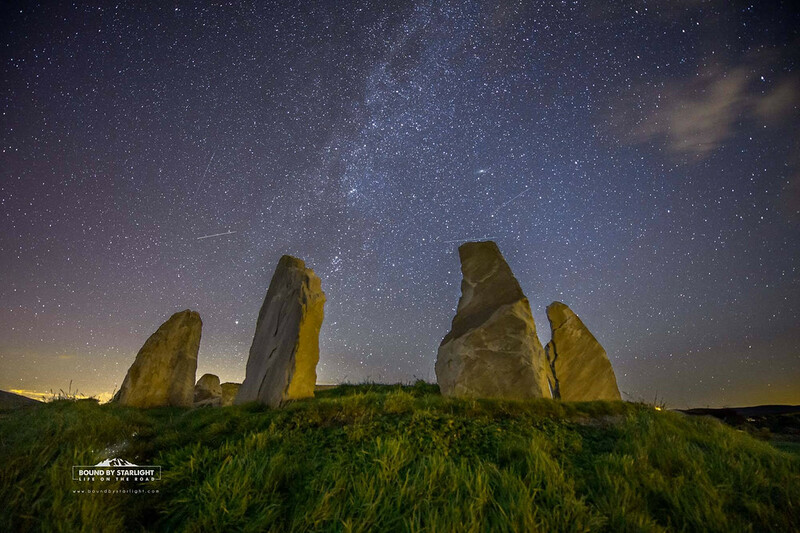 First up in our top 5 is this spectacular and very cleverly composed image of the Crawick Multiverse. This standing stone circle, recently transformed from a former open cast coal mine into an amazing land art project in Dumfries & Galloway, is a representation of the Andromeda Galaxy. This spectacular image, cleverly composed by Stuart, also reveals the real Andromeda Galaxy in the same frame, revealed by Scotland’s beautiful dark night sky. We love it! When did you start and what inspired you to photograph Scotland’s night sky? 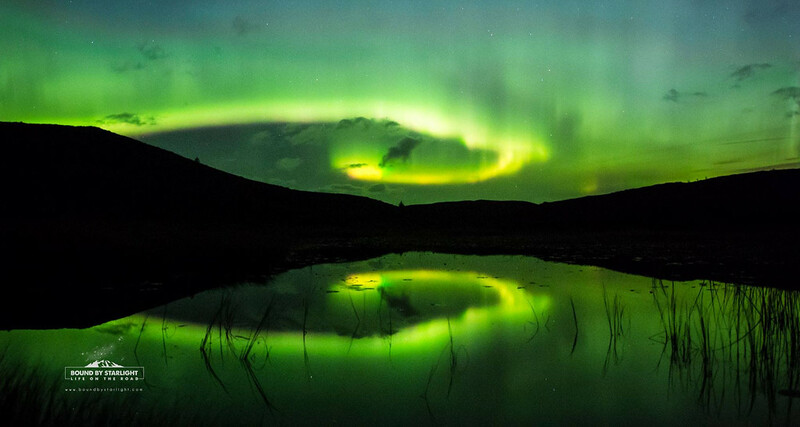 2 – The Aurora Borealis In The Loch! It’s images like these that make us want to explore our own lovely country MORE! This incredible shot, capturing the absolutely magical beauty of the illusive Aurora Borealis, comes with a great story. Taken on a cold October evening, deep in the hills of Glengarry in the Scottish Highlands, this image involved Stuart wading through reeds and getting knee deep in cold Loch water! Not only did it involve having to withstand the cold temperatures, Stuart also had to force himself to remain as perfectly still as physically possible in order to capture this stunning loch reflection. Hats off to him for his patience and determination, it certainly paid off! 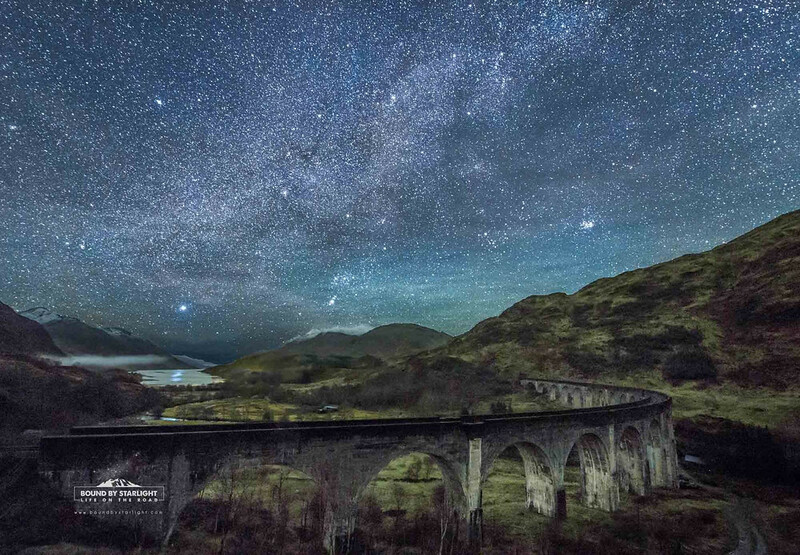 When is the best time to photograph Scotland’s night sky? It was during a night of the strongest Northern Light activity Stuart has ever witnessed (and he has spent many a night chasing the Northern Lights!) that he stopped to capture this incredible shot of the Milky Way over the hills of Glengarry in the Scottish Highlands. As explained by Stuart himself, one of the joys of exploring the night sky is that the longer you stop to look, the more that is revealed to you. This is a perfect example. What are your top tips for aspiring night photographers? It was during a night of uncertain weather that Stuart’s patience once again paid off for this spectacular shot. It wasn’t until 2.30am that a window of clear sky opened up allowing him to capture the amazing railway viaduct facing south west. What makes this image even more interesting is what happened afterwards however. It was after around 2 hours of patient photography that Stuart finally returned to the warmth and comfort of his car around 4.30am to cook up an early breakfast, only to find his car being approached a few moments later by a beautiful young stag, presumably lured by the smell of his breakfast! Amazing! Which image was the most difficult to capture and why? 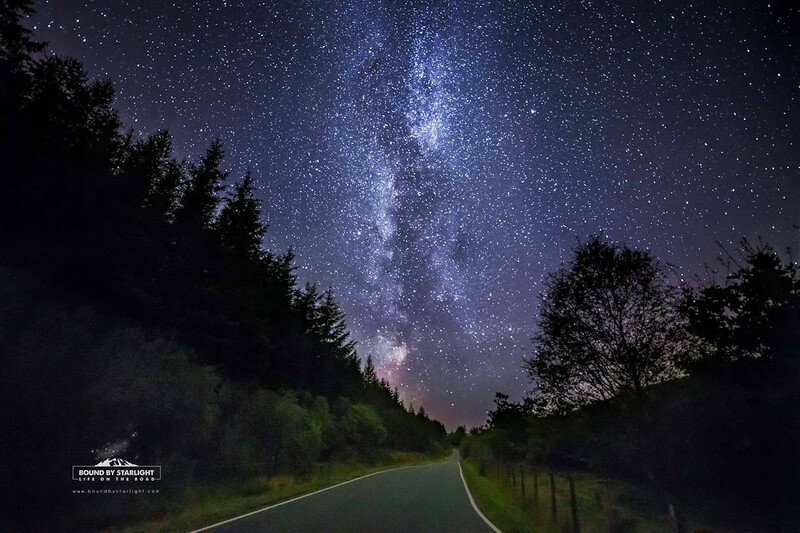 Last but not least is this beautiful shot of the Milky Way over the stunning Argyll Peninsula near Scotland’s dramatic west coast. Taken late in the evening without much traffic around, Stuart was able to capture a strong contrast between the bright and vibrant night sky, and the dark and peaceful earth below. What camera equipment to use? So that’s it! Our top 5 favourite images from Stuart’s stunning 2016 collection. If you love them as much as we do, then hop on over to Stuart’s page here to place your 2017 calendar order! Or if you want to see some of our wedding video Scotland films then head over to our page! Looking for more Scotland inspiration? Check out 10 Dramatic Images From An Epic Scotland Road Trip To Skye. We're Barry & Laura, two Worldly Nomads constantly seeking out new adventures and experiences! From camping on Antarctica, to climbing epic volcanoes, we love to document our adventures through awesome photography and inspiring videos on this very blog! So dive in and enjoy!